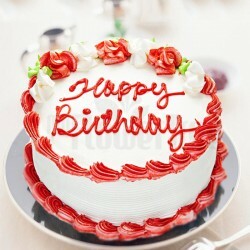 If you want to surprise your favourite people early in the morning, there is no better place than MyFlowerTree to do so. We offer early morning delivery and What better can it get with a surprise gift your loved one will see first thing in the morning. Our delivery heroes will drop your gift right at their doorstep in the early hours of the day! Believe us, it can't get any better than this! No wonder celebrations are best planned as a surprise and when it comes to surprising your loved one, nothing can be a better loving gesture than sending a gift to their address with the special early morning delivery. 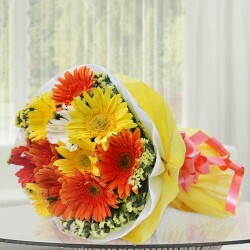 MyFlowerTree assures the most timely delivery with its impeccable early morning delivery service. This online store has a huge variety of gifts to display and you can easily order the best gift for your beloved one with just a simple click of a mouse. The unexpected timing with early morning flowers delivery will definitely create a long-lasting memory of sweetness into the mind of your sweetheart. The extremely sophisticated delivery feature offered by our store has made this store one of the best destinations of purchasing gifts among the customers. If you want the gifts to be delivered at the doorstep of your dearest one at a specific time of a day, you should go for fixed time delivery with our best in class custom delivery option. 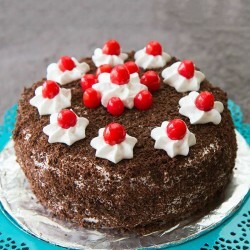 Early morning cake delivery with MyFlowerTree has made things highly simple and convenient, and it has even helped in making occasion really special and vibrant. All our flowers are delivered with the freshest quality. In case, if you have forgotten to send flowers to your loved one on a special occasion and the moment you have finally remembered, it’s already late, opting for same day delivery would be the best option that you should go for. 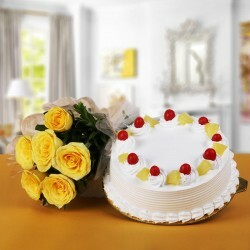 You can also make your beloved one feel extremely surprised with the midnight delivery of gifts. Each of our flowers arrangement comes with the freshest quality and our expert bakers ensure that each cake is made with the finest quality of ingredients so that it can provide the best taste experience to the customers. 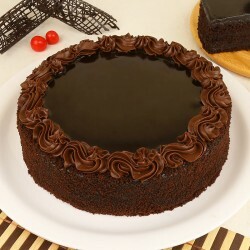 If it’s an occasion of love and affection, you can easily go for early morning delivery online for sending an awesome personalized gift along with a super delicious cake. 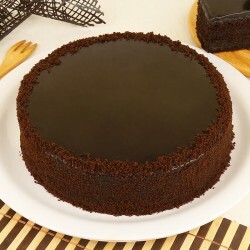 We all know cakes are the perishable items and that’s why MyFlowerTree always ensures the perfect on-time delivery to your address so that it can provide the utmost happiness to your beloved one in a sweetest manner.